Due to the fast pace of life and poor dietary habits, majority of people lacks in some important nutrients in their organisms. 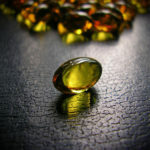 With the modern problem came the modern solution – dietary supplements. These diet additions include minerals, vitamins, enzymes, amino acids and many other products and come in a variety of forms: powders, capsules, energy bars, drinks and tablets. Getting your nutrients straight from a capsule sounds easy enough, but is it truly a matter of ‘drink, do not think’? Well, not quite. There are many misconceptions and unknown rules and recommendations that should be considered before taking supplements. When consuming supplements you want to make sure your body will fully absorb them in order to get all the health benefits. You can do that by combining them with foods. For example, vitamins A, E, D and K are fat-soluble, so they should be taken with a meal containing dietary fats, such as lean meat and fish. Caffeine and tannin found in coffee and tea can prevent your body from absorbing the necessary nutrients. Avoid drinking coffee or tea with your supplements. Vitamins are more complicated than you think. For example, vitamin D has two forms, one is the natural D3 – the one that is made in our bodies, and the other is the synthetic D2 which is less effective. When you are buying supplements, always ask the seller for more information about the vitamin, so you could choose the best possible form. There are many supplements that are been judged based on hear-say claims. For example, creatine has been getting a lot of bad press, although there is no concrete evidence it does anything but improving athletic performance. Adding fitness supplements in your diet nowadays is a normal thing, and if you discuss the topic with your personal trainer or some expert and read all the available studies that will help you choose the best supplement for your needs you can only enhance your results. It can be tempting to take a double dose to double the effects, or if you have missed a pill the previous day, but doing so can be very dangerous. Instead, write off that one tablet/capsule and continue taking as normal. This does not mean that you must avoid supplements all together if you are on some kind of medication. Because some supplements can interfere with certain drugs and thus thin the blood, you should consult your doctor and verify is that the case with the ones you are taking. For instance, supplements such as Gingseng, garlic and Omega 3 should not be combined with certain medication like Warfarin. Consult your GP to see if you can still take the supplements you were taking before pregnancy, and avoid including new supplements in the period of pregnancy and breastfeeding. Still, your GP can recommend including certain vitamins and minerals that are essential for a healthy pregnancy – usually vitamin D and calcium. Not every supplement has the same instructions on the packaging, so there is no general rule about taking them all. You must thoroughly read the instructions for each of them before taking. Pay special attention to the dosage and the times of day. Also, it is important to properly store the supplements, because they tend to lose effectiveness when exposed to heat and light. Keep them in a cool, dark place, and in some cases (omega-3 fats) even in the fridge.